When it’s about selection of the right online casinos, people often overlook the importance of iGaming software developers. 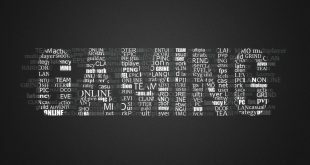 Most players are normally interested in the reputation of the website, how safe it is to play at, the number of different games and the overall gaming experience. However, it should be noted that none of these top-end online casino games we get to play today would have existed had it not been for the hard work of these expert iGaming development companies. On a side note, as we’re talking about these iGaming software developers, please also go through these 5 must-have tech accessories under $20 that can come in pretty handy when you’re playing all these casino games! Having started its operations way back in the year 1994, Microgaming was in fact the first ever developer of online casino games in the world. It continues to pave the way for this industry even today, all thanks to its innovative work ethic! The company supplies online casino gaming software to more than 400 reputed online gaming brands throughout the world. A standard iGaming package from Microgaming features over 600 different games, in all kinds of formats including roulette, video poker and slot games. You can also download these games onto your mobile devices, and play them using their instant play feature. These downloadable versions feature more advanced graphics and sound effects, apart from free play options and helpful tutorials. Microgaming’s slot games are a huge hit among the gambling fans, as they feature some of the biggest progressive jackpots! Launched a few years after the advent of Microgaming, Playtech is another leading company in the online casino gaming development business. It’s counted amongst the most forward-thinking and innovative brand in the market today. The deal Playtech struck with Marvel Comics to use their superheroes for its online slot games, is by far its most prized asset! Any online slot game themed around Marvel Comics’ superheroes is an instant hit among the slot lovers throughout the world. Playtech has even developed its customised bingo software called Mobenga and a customized poker platform known as iPoker network. Both serve as excellent platforms for its offerings in these two segments. The company provides online casino games both in downloadable as well as instant play format, and has more than 400 different titles to choose from! Counted amongst the initial few pioneers of the online casino development industry, NetEnt or Net Entertainment was founded in the year 1996, but didn’t launch any of its software until year 2000. At present, the brand is considered synonymous with user-friendly and simple interfaces, allowing players to clearly review their win and loss data. As their games are majorly Java-based, you don’t need to download anything, making them ideal for a host of different platforms, including PCs, Macs, mobile devices etc. 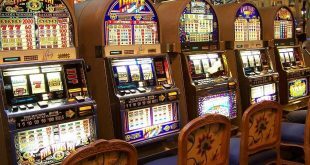 Majority of its games library consists of popular online slot games, apart from some classic ones including craps, poker, roulette and Blackjack.